It covers the wound with a deep, penetrating coating to promote clean, rapid healing. It works well for birds who have been pecked. Blue Kote has an unpleasant taste to help stop cannibalism. It comes in a 5oz. spray can. 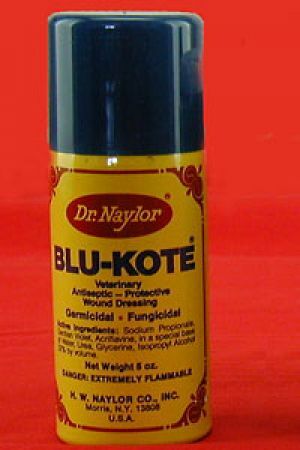 Blue Kote CANNOT be shipped out of the USA.